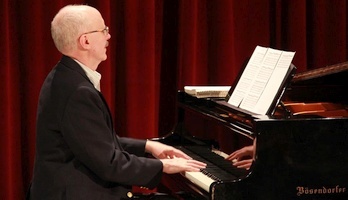 Bethesda Fine Arts Festival, Norfolk & Rugby Ave.
For the second year, Jeffrey Chappell will be on the summer faculty for the Young Artists Program at the Alba Music Festival in Alba, Italy. He is the director of the Jazz Program and is on staff for chamber music coaching and piano instruction. He will also appear as a pianist in numerous concerts. More details will be forthcoming. Jeffrey Chappell and flutist Karen Kevra will present a program of masterpieces from the classical repertoire. More details about this event will be forthcoming. Otherworld at Germano’s–by popular demand! Jeffrey Chappell will present a solo piano recital under the auspices of Big Arts Sanibel Island including works by Chopin and Ravel. More details will be forthcoming.